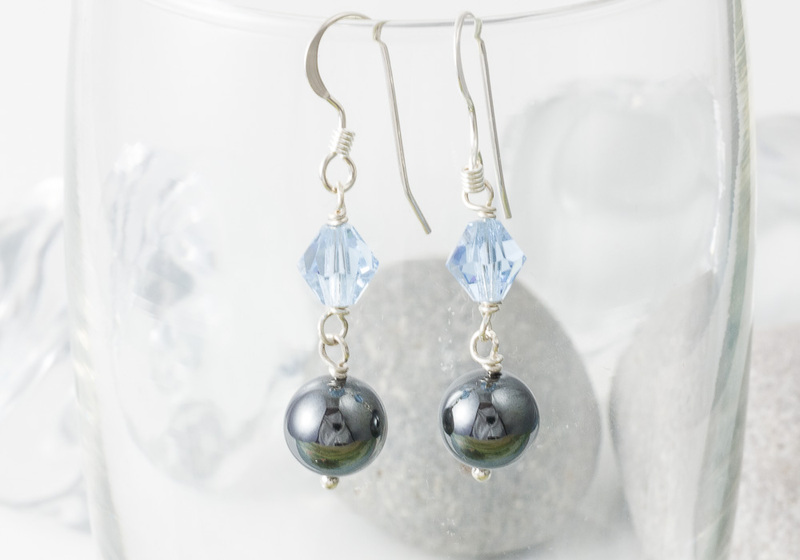 A pair of sterling silver earrings with sparkly swarovski crystals and haematite beads. The crystals change colour depending upon the light source. The pinker shade is shown in the centre image using daylight and the other two were taken with daylight bulbs.